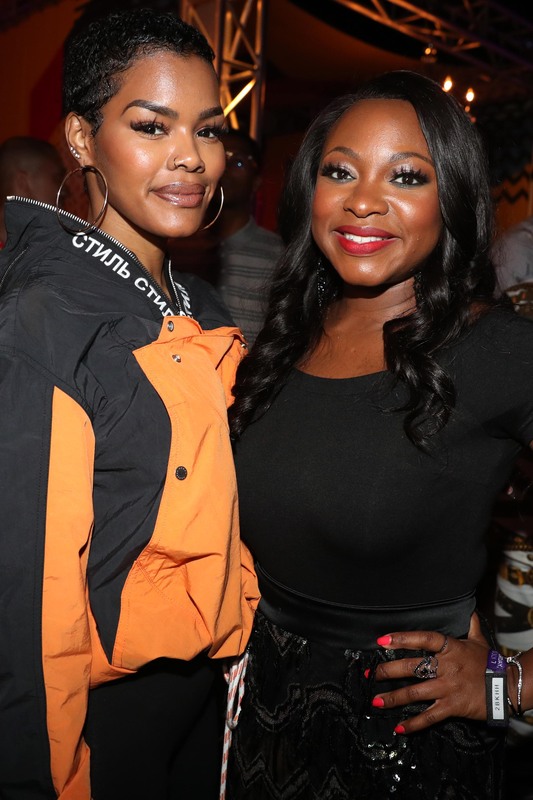 Teyana Taylor and Naturi Naughton attend the 2018 Essence Festival - Day 3 in New Orleans, Louisiana. 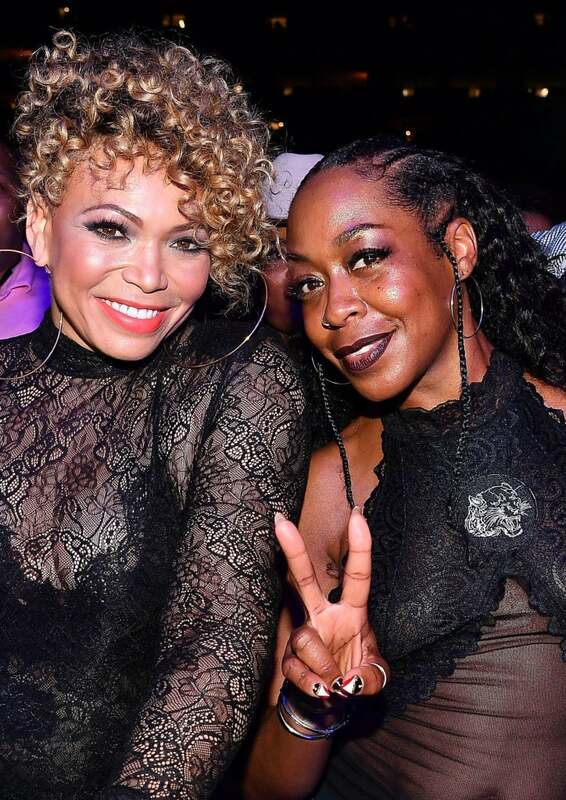 Tichina Arnold and Tisha Campbell both pose for photos during the 2018 Essence Festival in New Orleans, Louisiana. 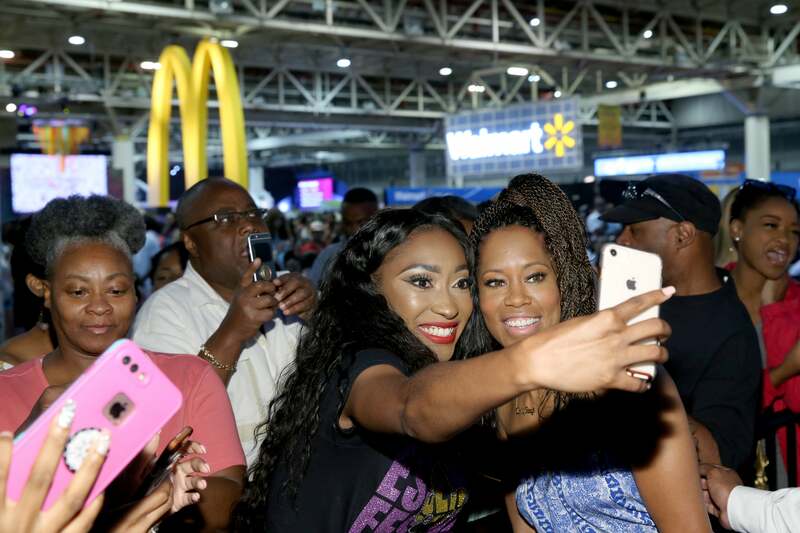 Yvonne Orji attends the 2018 Essence Festival presented by Coca-Cola in New Orleans, Louisiana. Y'lan Noel poses for a photo during the 2018 Essence Festival in New Orleans, Louisiana. 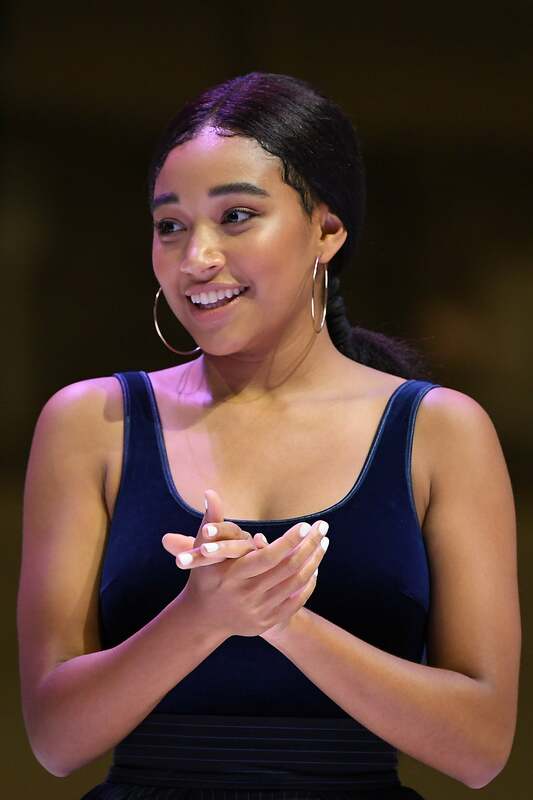 Amandla Stenberg speaks onstage during the 2018 Essence Festival in New Orleans, Louisiana. 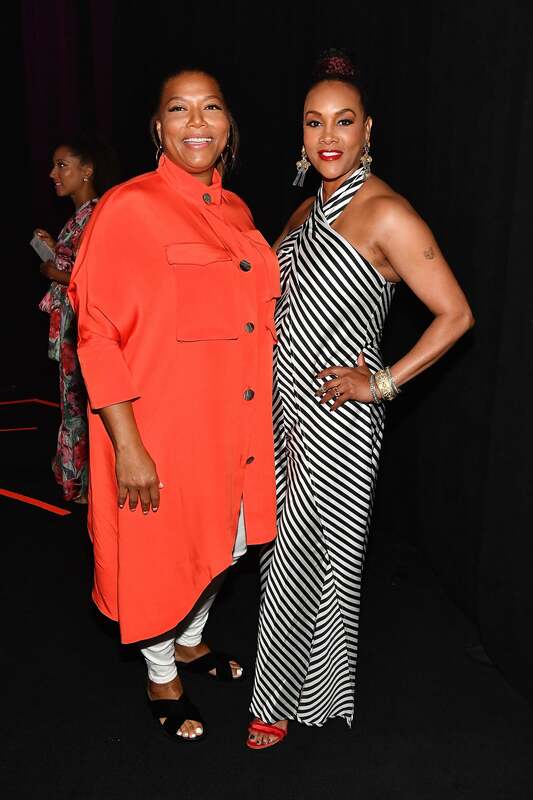 Queen Latifah and Vivica A. Fox reunite at the 2018 Essence Festival in New Orleans, Louisiana. 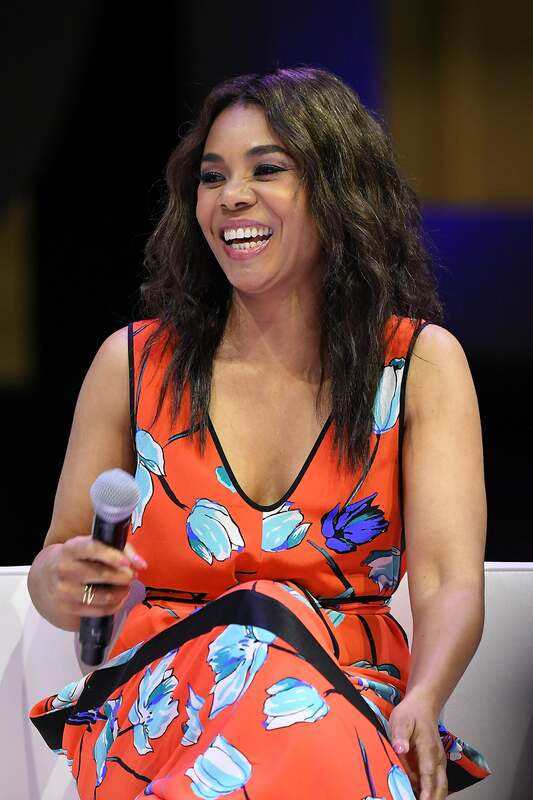 Regina Hall speaks onstage during the 2018 Essence Festival in New Orleans, Louisiana. 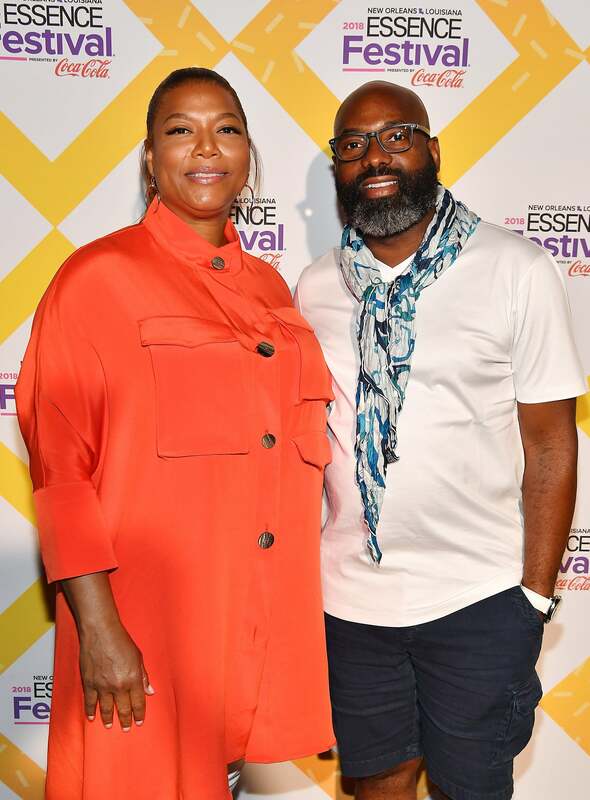 Queen Latifah and ESSENCE Ventures CEO, Richelieu Dennis pose together at the 2018 Essence Festival in New Orleans, Louisiana. 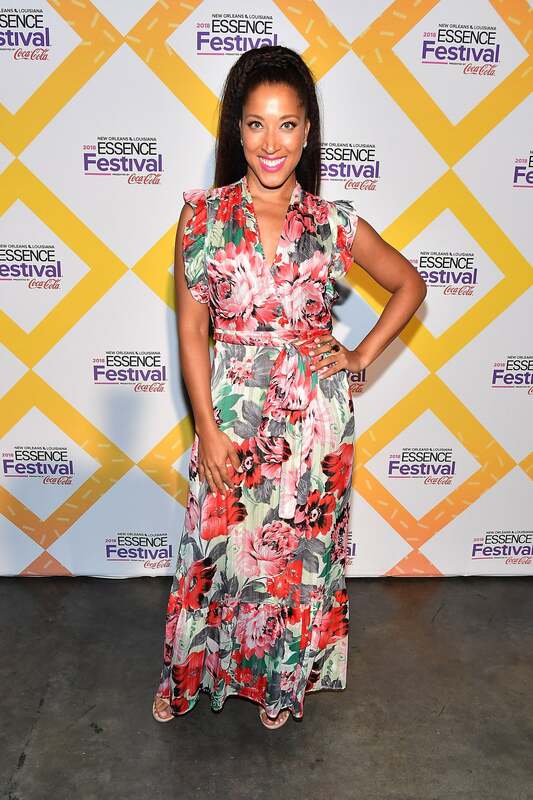 Robin Thede is all smiles at the 2018 Essence Festival in New Orleans, Louisiana. 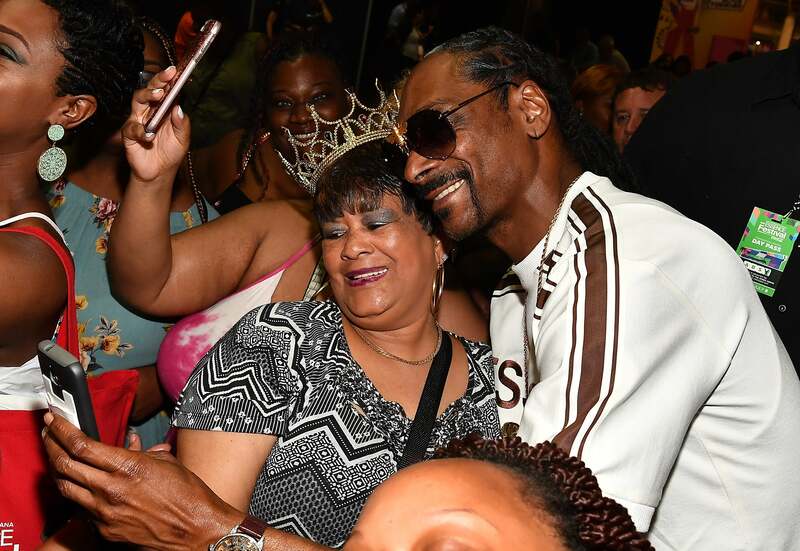 Snoop Dogg poses with fans at the 2018 Essence Festival presented in New Orleans, Louisiana. Vivica A. 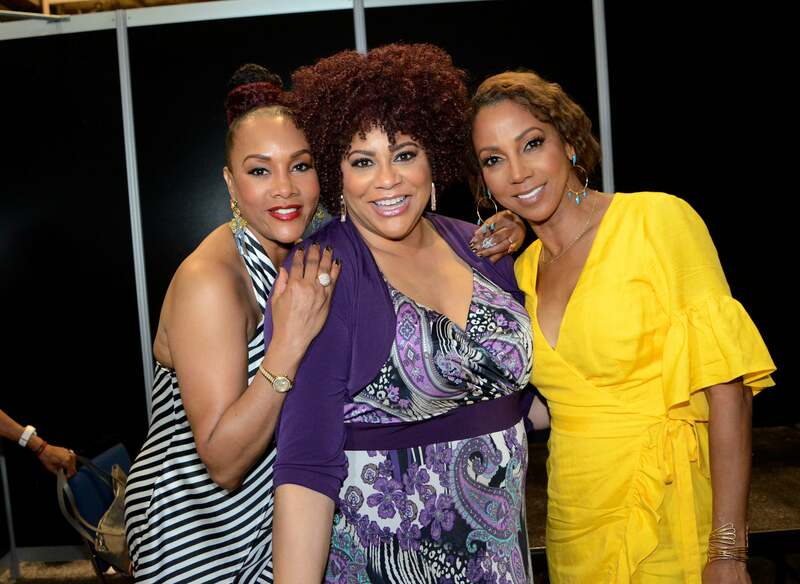 Fox, Kim Coles and Holly Robinson Peete attend the 2018 Essence Festival - Day 1 in New Orleans, Louisiana. 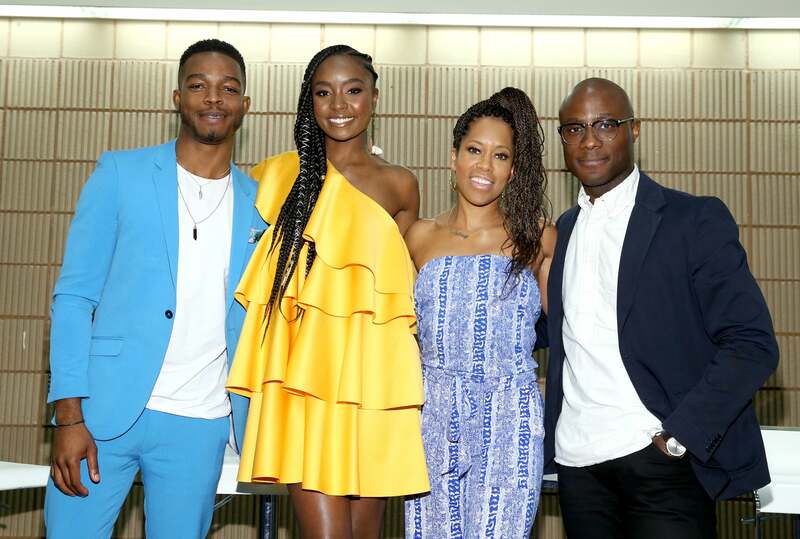 Stephan James, KiKi Layne, Regina King and Barry Jenkins attend 'If Beale Street Could Talk' Movie Cast and Filmmakers at Essence Festival 2018 in New Orleans, Louisiana. 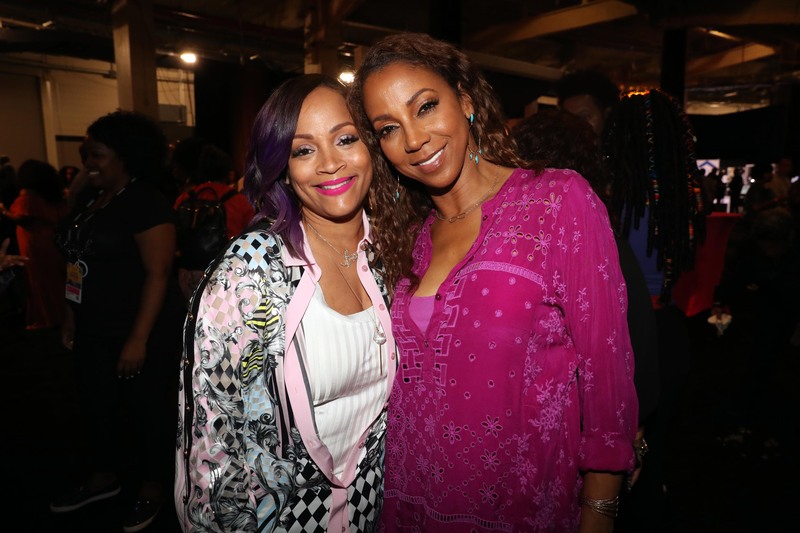 Simone I. Smith and Holly Robinson Peete attend the 2018 Essence Festival - Day 1 in New Orleans, Louisiana. 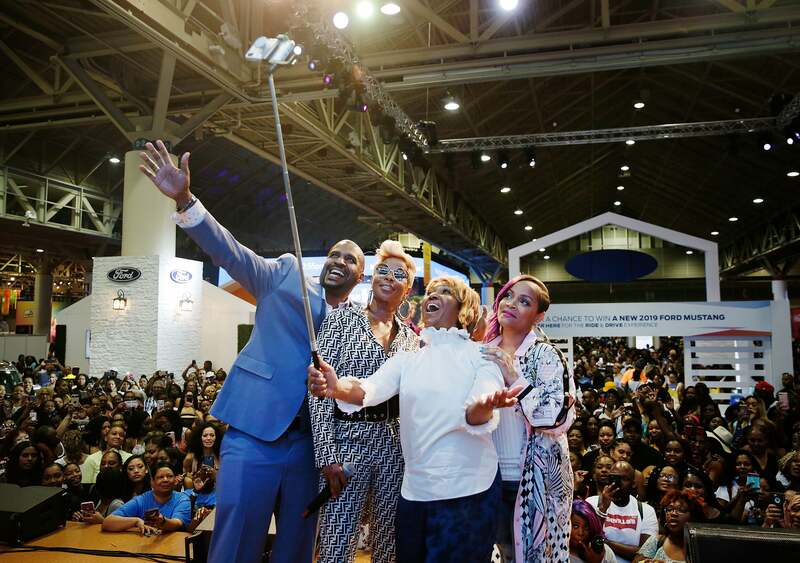 FACT: With all that we've got planned for 2019, you'll want to bookmark the ESSENCE Festival website and keep it locked so you can be the first to know about all the official updates that are just around the corner. 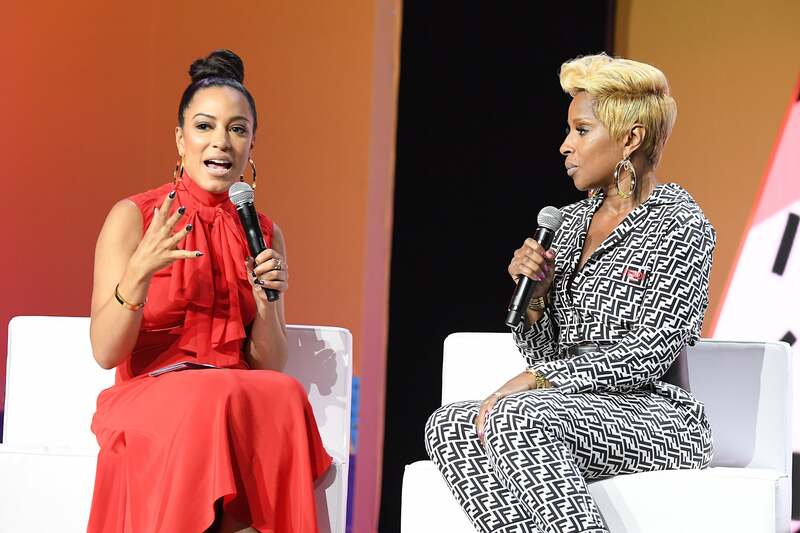 Angela Rye and Mary J. Blige speak onstage during the 2018 Essence Festival presented by Coca-Cola at Ernest N. Morial Convention Center in New Orleans, Louisiana. 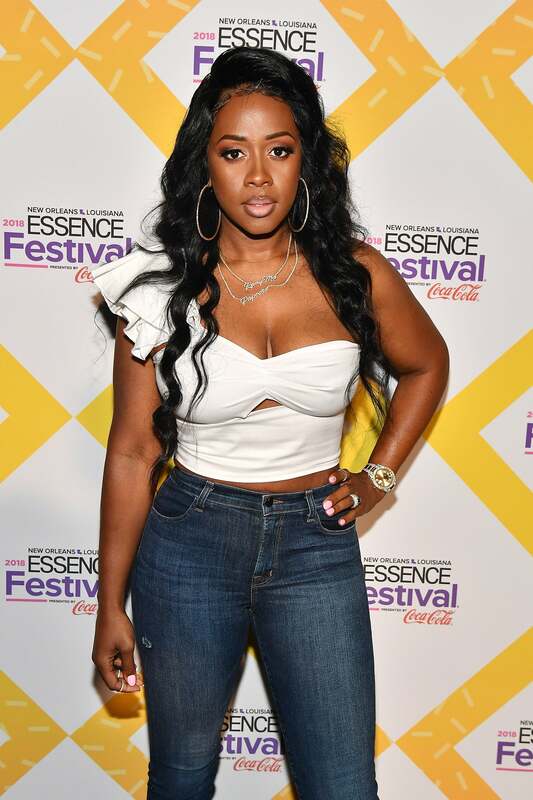 Remy Ma attends the 2018 Essence Festival presented by Coca-Cola at Ernest N. Morial Convention Center in New Orleans, Louisiana. 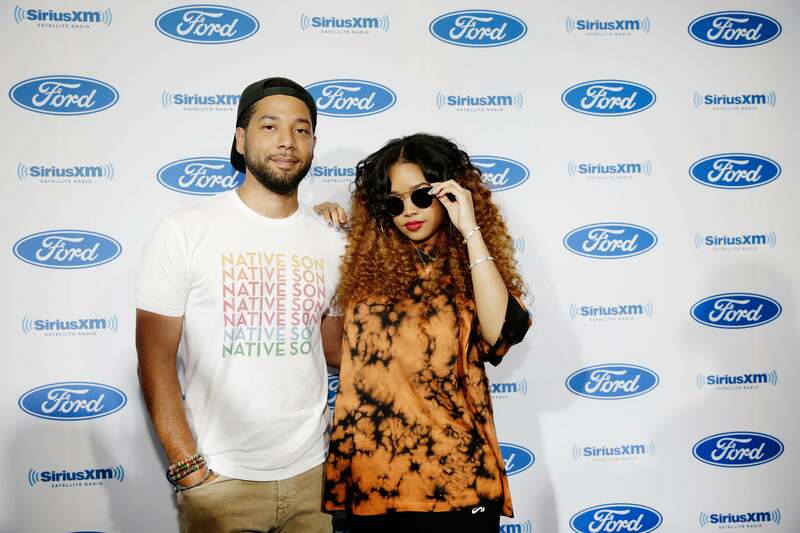 Jussie Smollett and H.E.R. 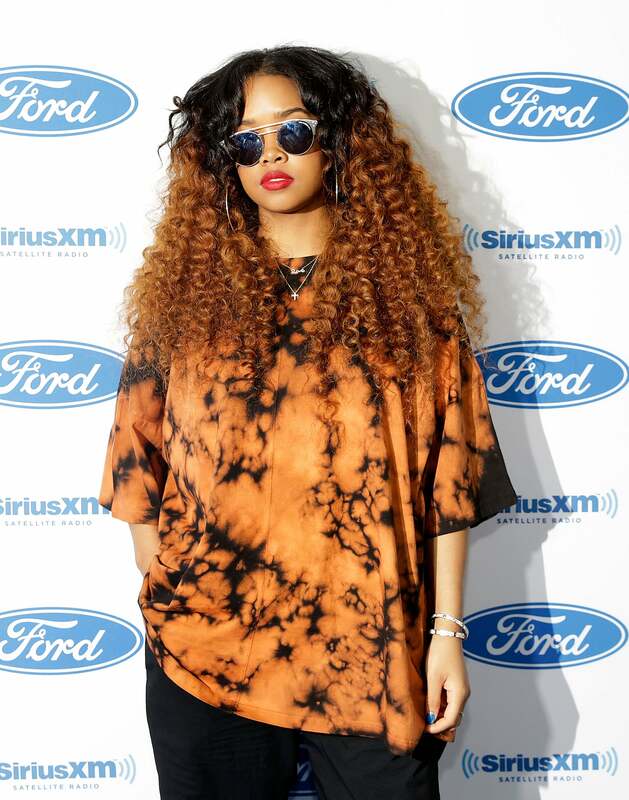 pose for a photo during the SiriusXM's Heart & Soul Channel Broadcasts from Essence Festival in New Orleans, Louisiana. Joan Smalls attends the 2018 Essence Festival - Day 1 in New Orleans, Louisiana. Remy Ma speaks onstage during the 2018 Essence Festival presented by Coca-Cola at Ernest N. Morial Convention Center in New Orleans, Louisiana. 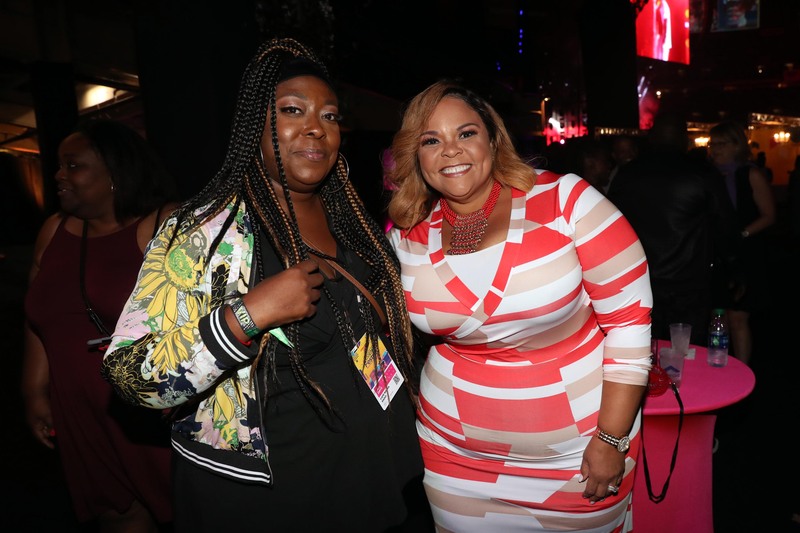 Loni Love and Tamela Mann attend the 2018 Essence Festival - Day 1 in New Orleans, Louisiana. 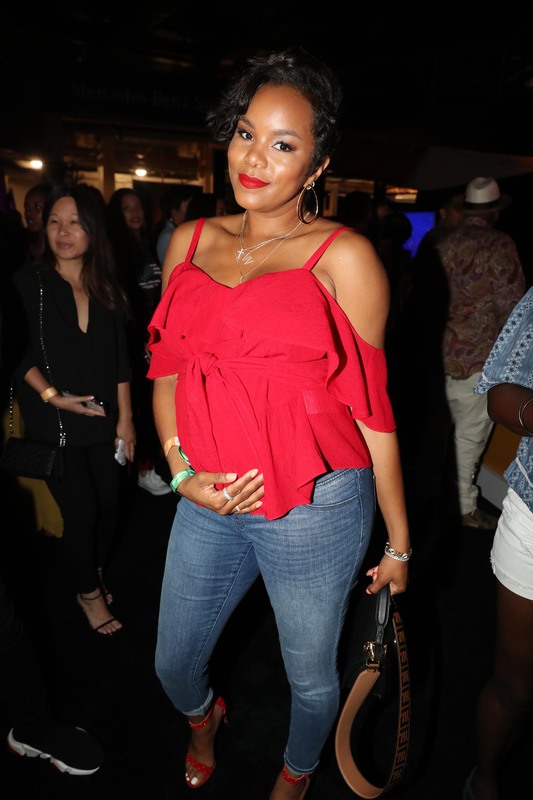 LeToya Luckett attends the 2018 Essence Festival - Day 1 in New Orleans, Louisiana. 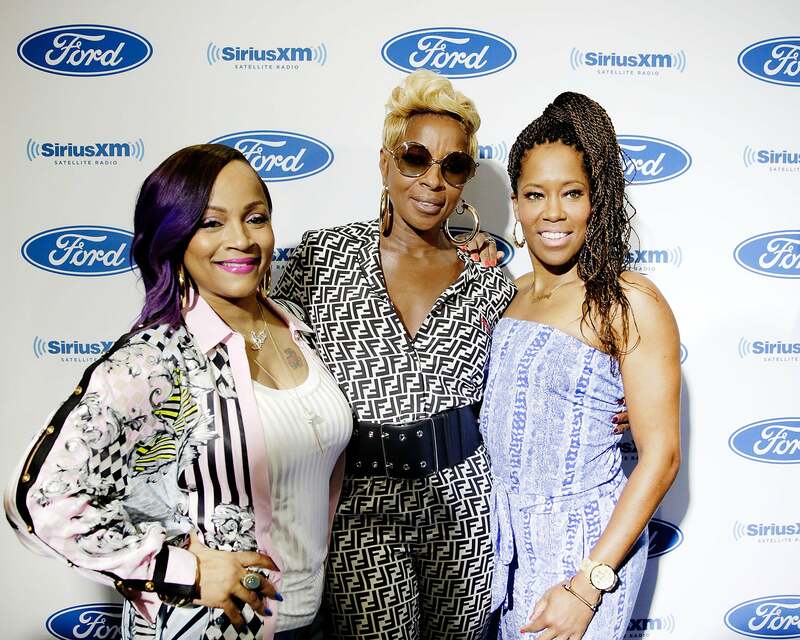 Mary J. Blige and Simone Smith and Regina King pose for a photo during the SiriusXM's Heart & Soul Channel Broadcasts from Essence Festival in New Orleans, Louisiana. FACT: Taking advantage of early-bird ticket sales is one of the best decisions you can make when planning your trip to ESSENCE Festival. Plus, we're celebrating 25 years of ESSENCE Festival this year, so trust us, this year's concert lineup will be one for the books! 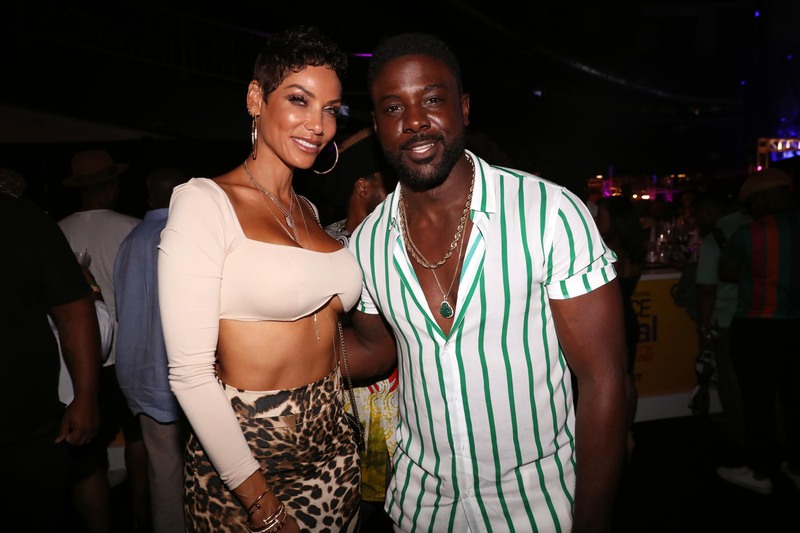 Nicole Mitchell Murphy and Lance Gross attend the 2018 Essence Festival - Day 1 in New Orleans, Louisiana. 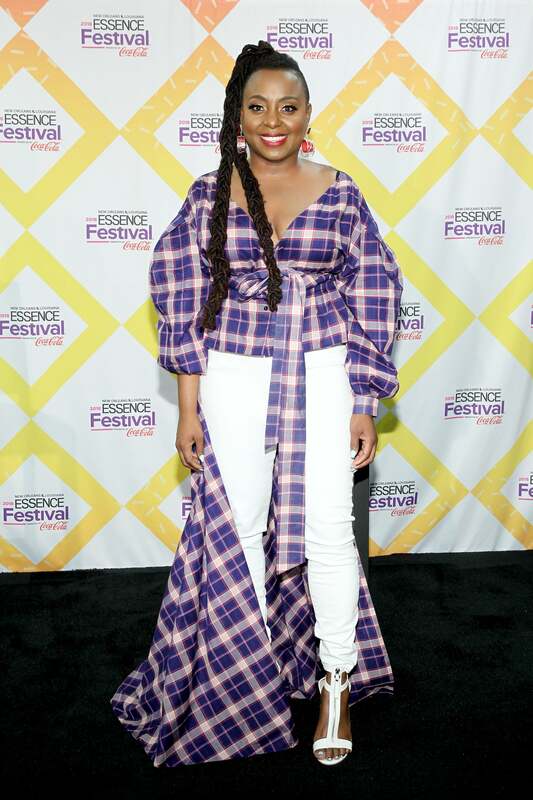 Ledisi attends the 2018 Essence Festival presented By Coca-Cola - Day 1in New Orleans, Louisiana. 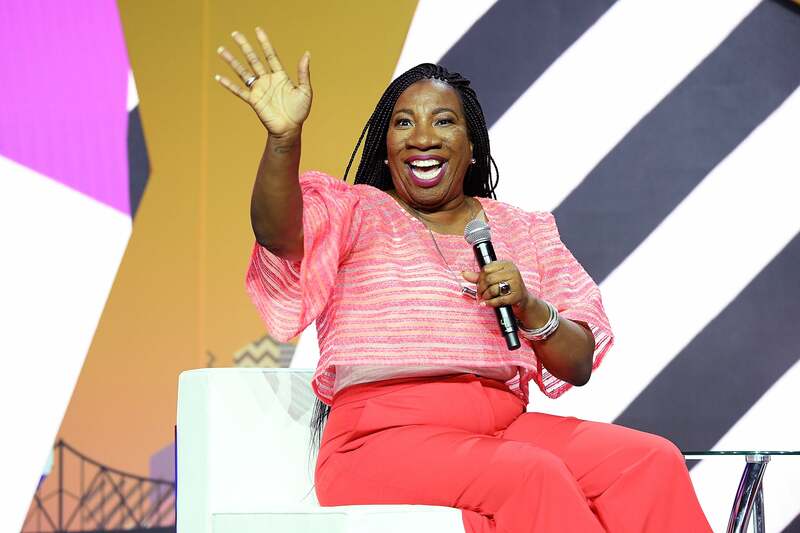 Tarana Burke speaks onstage during the 2018 Essence Festival presented by Coca-Cola at Ernest N. Morial Convention Center in New Orleans, Louisiana. H.E.R. poses for a photo during the SiriusXM's Heart & Soul Channel Broadcasts from Essence Festival in New Orleans, Louisiana. 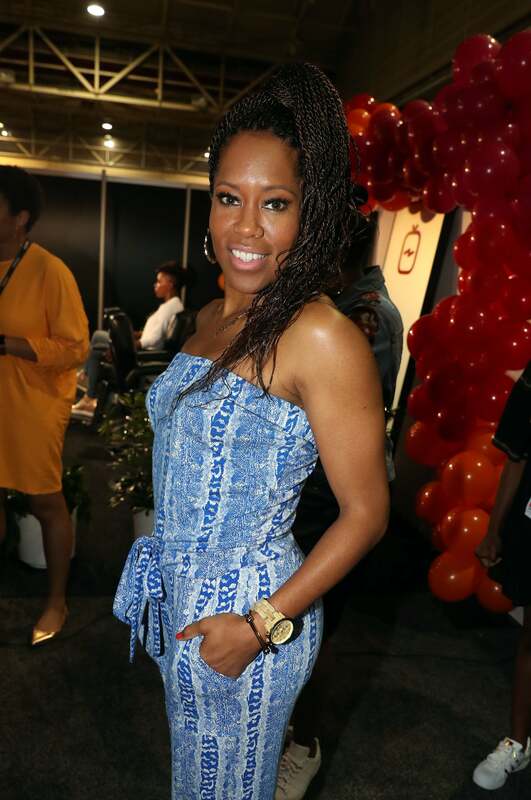 Regina King is all smiles at the 2018 Essence Festival - Day 1 in New Orleans, Louisiana. 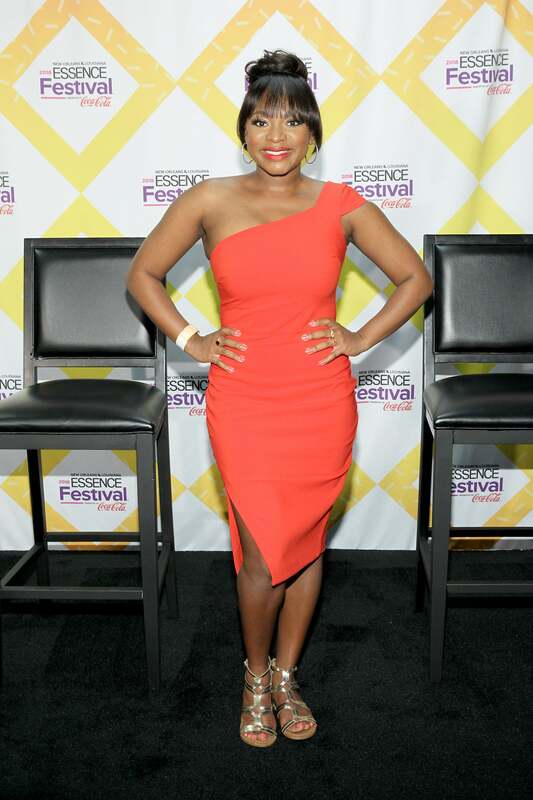 Naturi Naughton attends the 2018 Essence Festival presented By Coca-Cola - Day 1 in New Orleans, Louisiana. 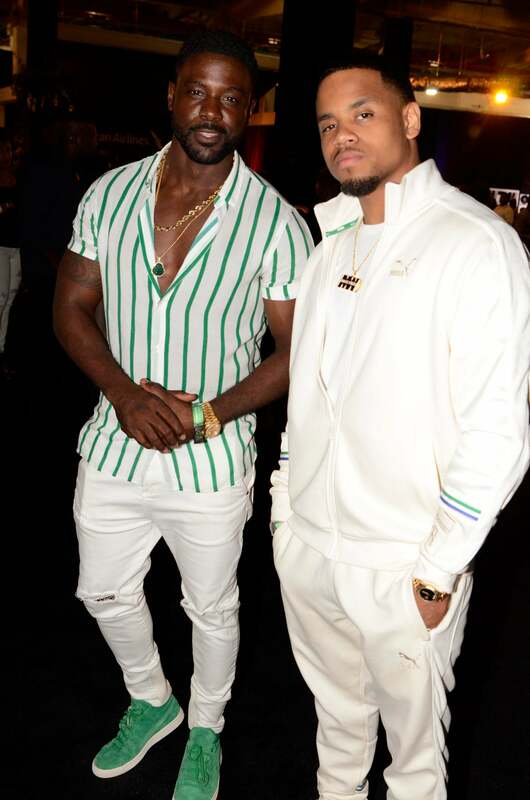 Lance Gross and Mack Wilds attend the 2018 Essence Festival - Day 1 in New Orleans, Louisiana. 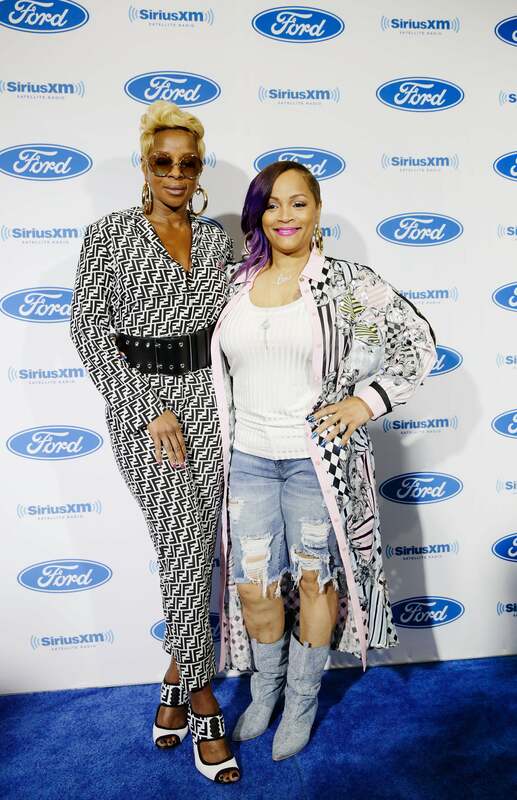 Mary J. Blige and Simone Smith pose for a photo during the SiriusXM's Heart & Soul Channel Broadcasts from Essence Festival in New Orleans, Louisiana. 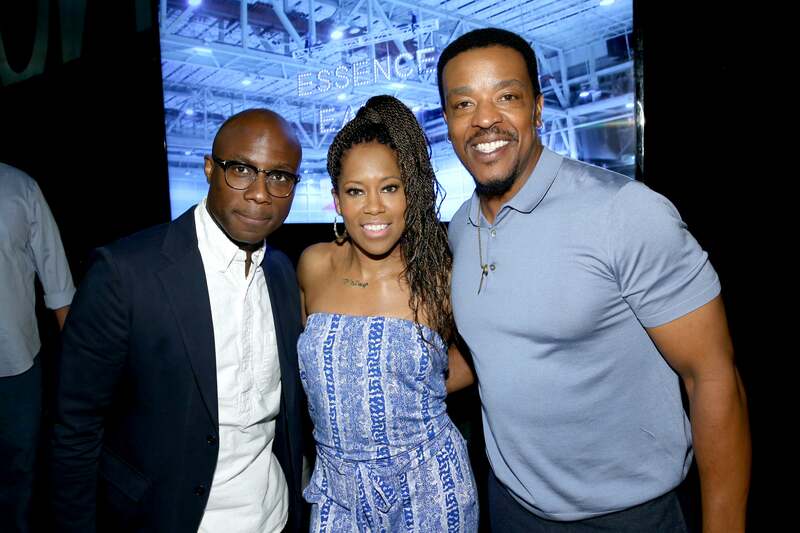 Barry Jenkins, Regina King and Russell Hornsby attend 'If Beale Street Could Talk' Movie Cast and Filmmakers at Essence Festival 2018 in New Orleans, Louisiana. 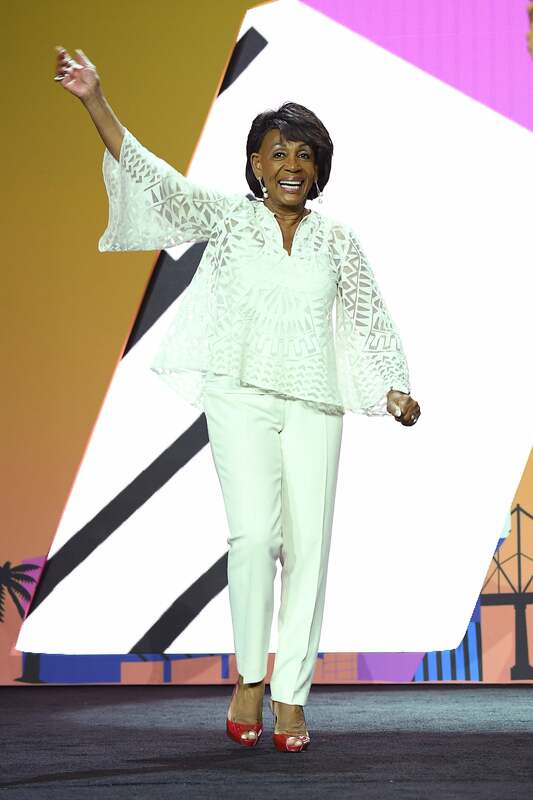 Maxine Waters speaks onstage during the 2018 Essence Festival presented by Coca-Cola at Ernest N. Morial Convention Center in New Orleans, Louisiana. 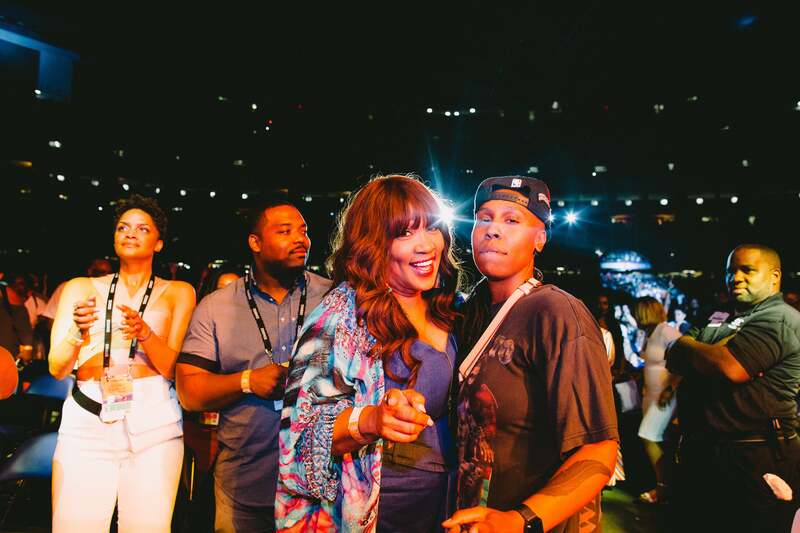 Kim Whitley and Lena Waithe live their best life at the 2018 Essence Festival - Day 1 in New Orleans, Louisiana. 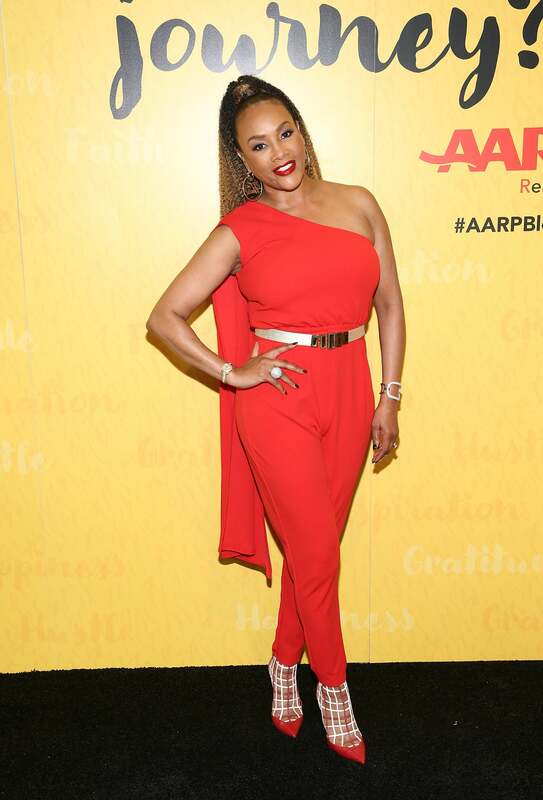 MC Lyte attends the 2018 Essence Festival presented by Coca-Cola in New Orleans, Louisiana. 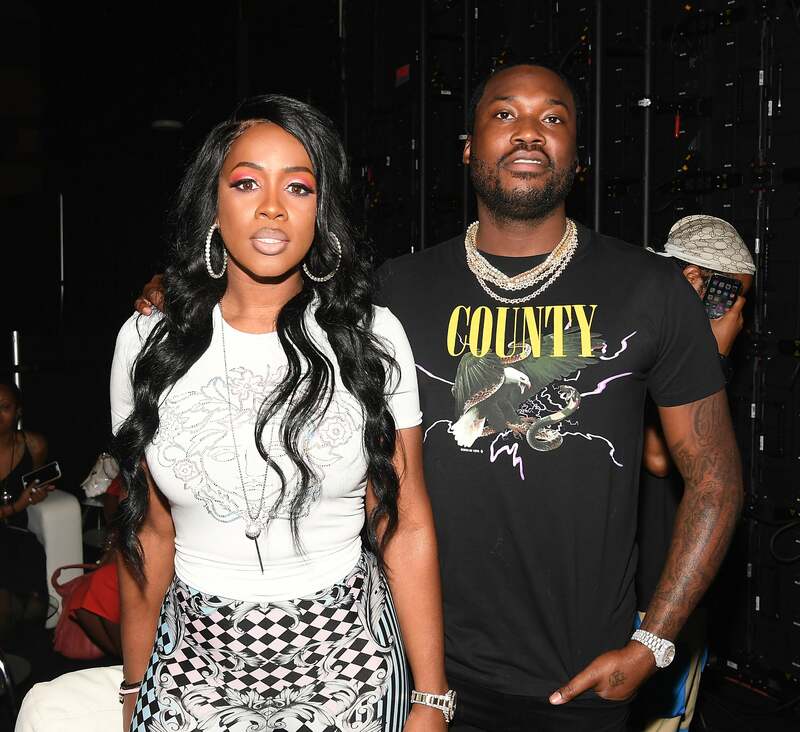 Remy Ma and Meek Mill attend the 2018 Essence Festival presented by Coca-Cola at Ernest N. Morial Convention Center in New Orleans, Louisiana. 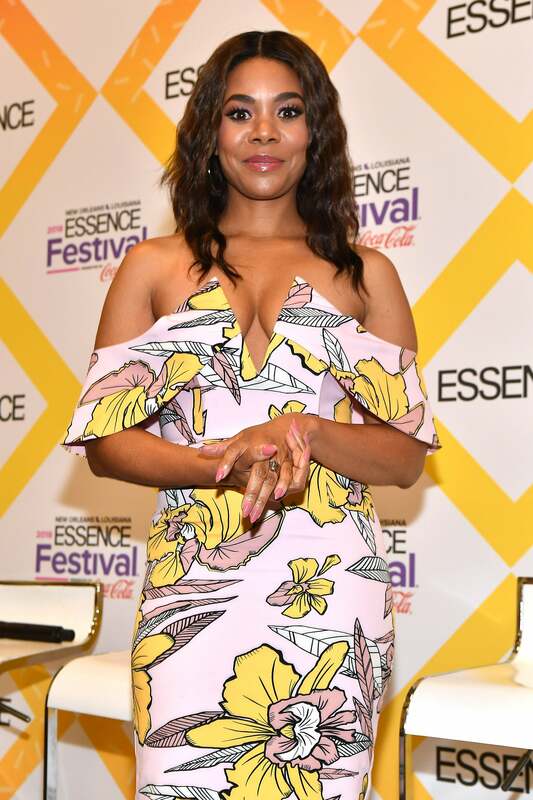 Regina Hall attend the 2018 Essence Festival presented by Coca-Cola at Ernest N. Morial Convention Center in New Orleans, Louisiana. 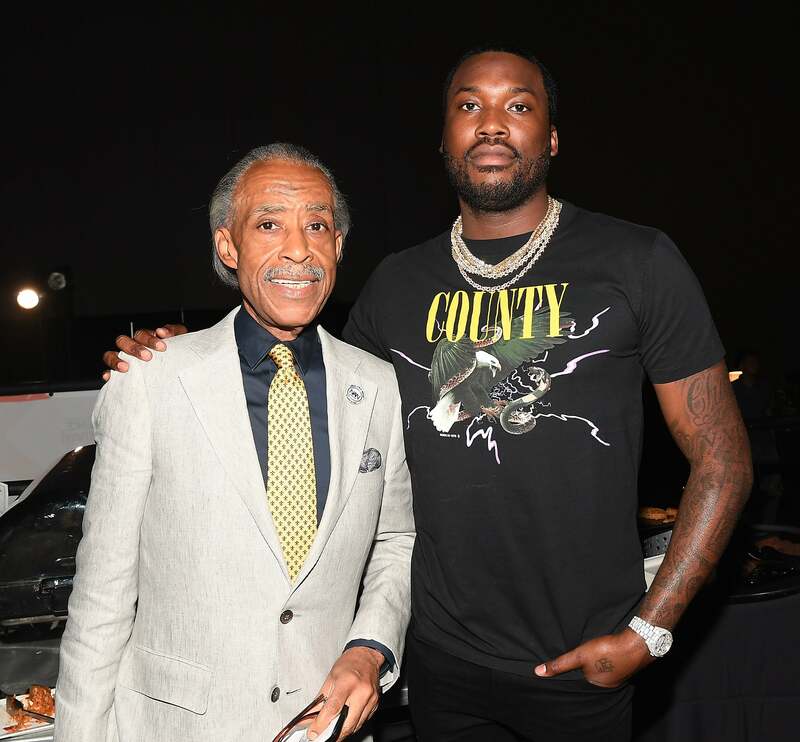 Al Sharpton and Meek Mill attend the 2018 Essence Festival presented by Coca-Cola in New Orleans, Louisiana. Vivica A. 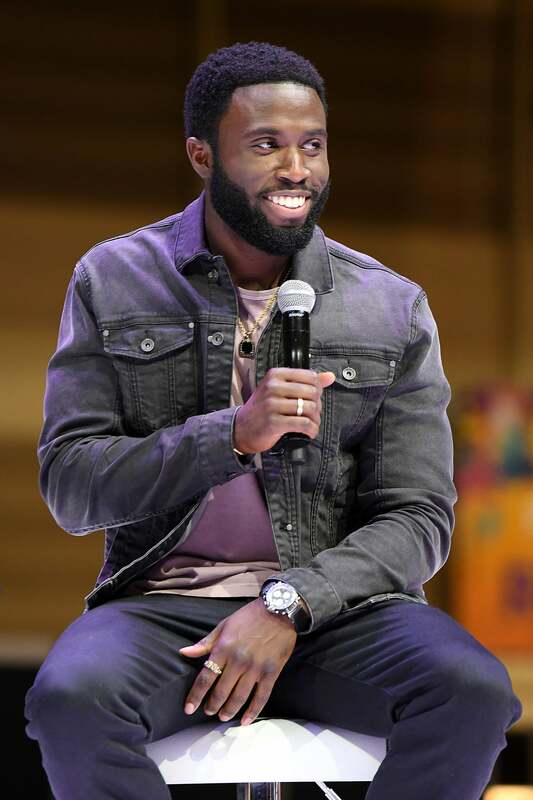 Fox attends the 2018 Essence Festival in New Orleans, Louisiana. 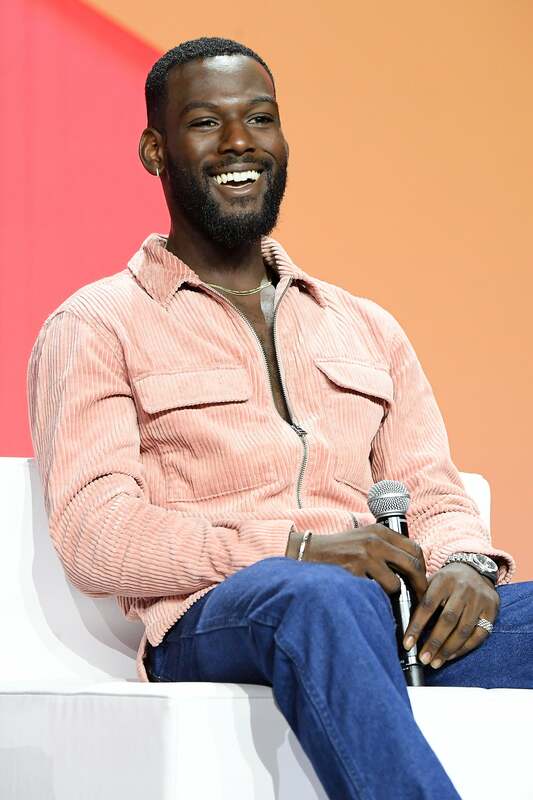 Kofi Siriboe attends the 2018 Essence Festival presented by Coca-Cola in New Orleans, Louisiana. 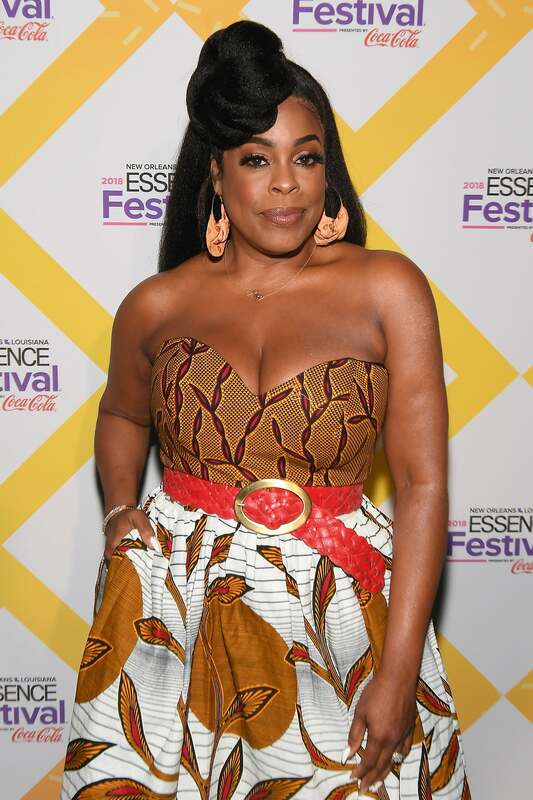 Niecy Nash attend the 2018 Essence Festival presented by Coca-Cola in New Orleans, Louisiana. 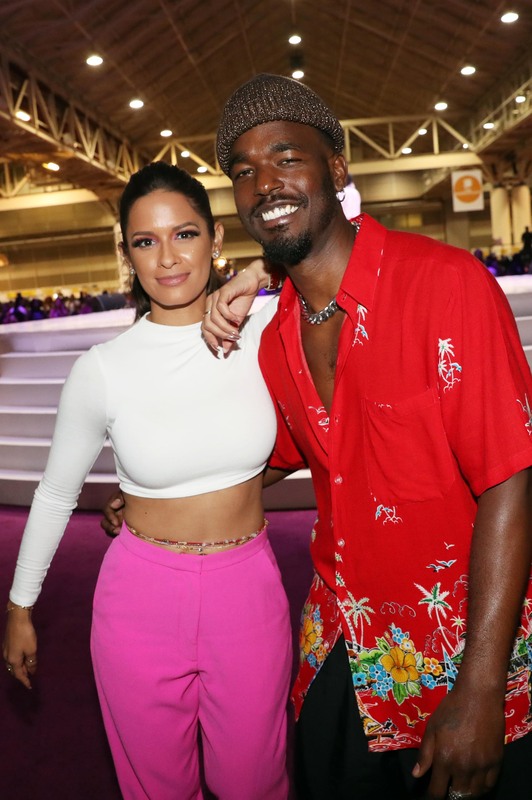 Rocsi Diaz and Luke James attend the 2018 Essence Festival - Day 3 in New Orleans, Louisiana. 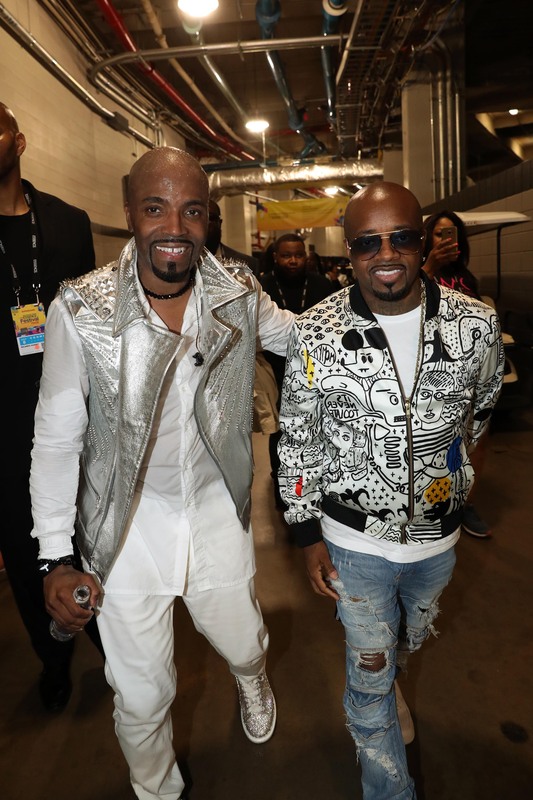 Teddy Riley and Jermaine Dupri attend the 2018 Essence Festival - Day 3 in New Orleans, Louisiana. 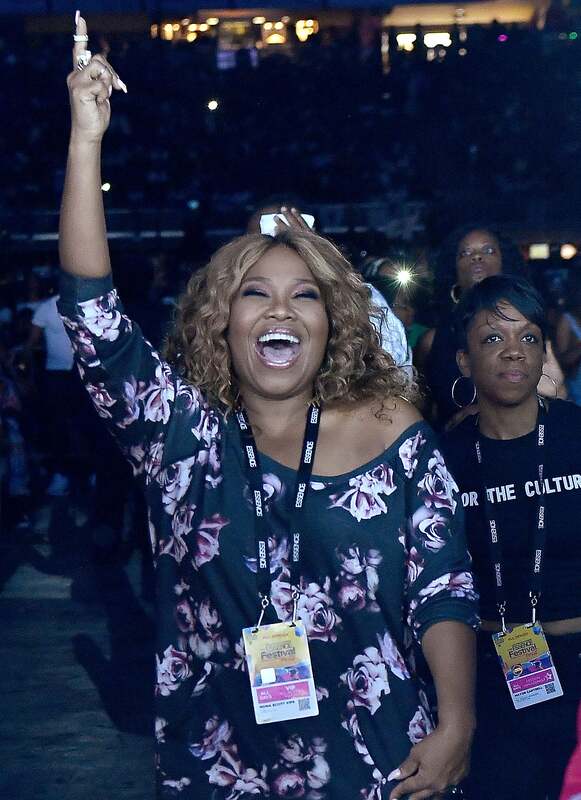 Mona Scott-Young attends the 2018 Essence Festival - Day 3 in New Orleans, Louisiana. 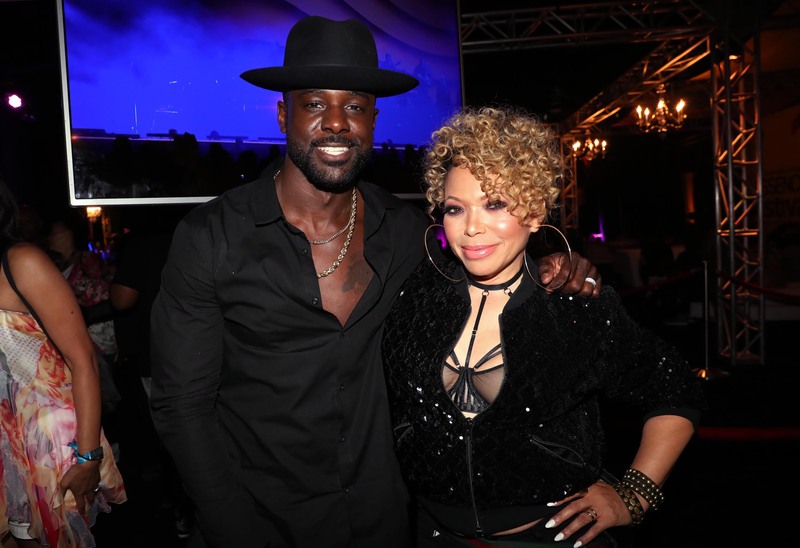 Lance Gross and Tisha Campbell-Martin attend the 2018 Essence Festival - Day 3 in New Orleans, Louisiana. 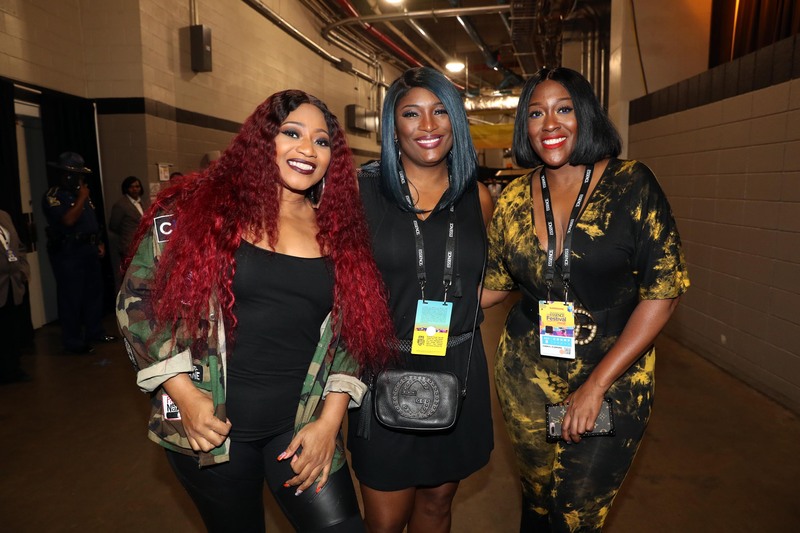 Leanne "Lelee" Lyons, Tamara Johnson-George, and Coko aka R&B trio SWV attend the 2018 Essence Festival - Day 3 in New Orleans, Louisiana. 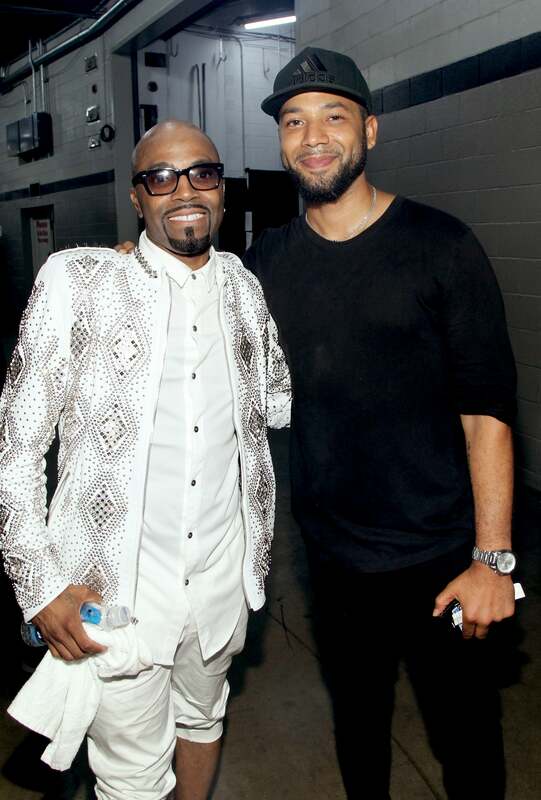 Teddy Riley and Jussie Smollett attend the 2018 Essence Festival presented by Coca-Cola - Day 3 in New Orleans, Louisiana.